It’s been almost two weeks since a Florida jury acquitted George Zimmerman of second-degree murder (and manslaughter) in the shooting death of Trayvon Martin. Plenty of time for things to subside, one might think — but if media reports are to be believed, this disturbing case is still in the forefront of the thoughts of many, of which I include myself. That the outcome was polarizing is an understatement. For some, the verdict was unsatisfactory, yet another case of the system clearly failing to deliver justice to a member of a community with a history of grievances. For others, it was clearly the correct verdict and only plausible outcome as the trial played out, a simple case of self-defense that, while tragic, was completely and legally justifiable. Race is, of course, a major component of which side people took on the issue. The Pew Research Center conducted a national survey July 17-21 on the issue and found that among 1,480 adults, roughly as many were satisfied with the verdict (39%) as were dissatisfied (42%). Nearly one in five or19% offered no opinion. “More broadly, 52% say race is getting more attention in this case than it deserves, while 36% say the case raises important issues about race that need to be discussed,” the report said. Frankly, as more revelations about Martin and Zimmerman came out before the trial, I was less impressed with each. Nevertheless, in the run-up to the trial, both the Martin and Zimmerman camps did their best to spin how their side would be perceived by the public. The most-used photo of Trayvon Martin showed a smiling, cherubic boy who looked to be 12 or 13 years of age. George Zimmerman, meantime, wanted to be seen as merely a concerned good Samaritan-citizen, doing his duty a neighborhood watch volunteer. Both Martin’s photo and Zimmerman’s motivations weren’t, however, completely honest. But I won’t get into that here — there is plenty of material that a simple Web search can find to show Martin, at the time of Feb. 26, 2012, no longer looked like that boy in the photo (there was also clear disinformation sent via email that falsely made Martin appear more outre than he actually was) and that Zimmerman had some unsavory details in his past. While race and history are no doubt major components of why different people came to different conclusions regarding the verdict, one thing that’s been getting overlooked, in my estimation, is culture. When I say culture, I mean both popular culture as conveyed by media, and the environment in which we live. In other words, American culture. Despite the many good things that we offer as a nation and to the world, in this area, the reflection is unflattering indeed. From my perspective, what happened was completely avoidable — and utterly inevitable. Why? The way I see it, we are living in a time when still-impressionable young people, especially boys, are exhorted by pop culture, especially music, to be “hard,” to aspire to be “gangstas,” to take guff from no man and fight, to take drugs, to get tattooed, to run with rough crowds, to wear pants low so their boxers show and laugh at the very idea of getting an education. It’s the worst sort of message that can be promulgated in any society — and yet it goes on every day and it’s been that way for decades. At the same time, we have a tradition that might makes right, that a lone individual with the right guns, ammo and training can stand against the forces of chaos, that firearms are necessary for conflict resolution and the foundation of a civil society. Don’t believe me? 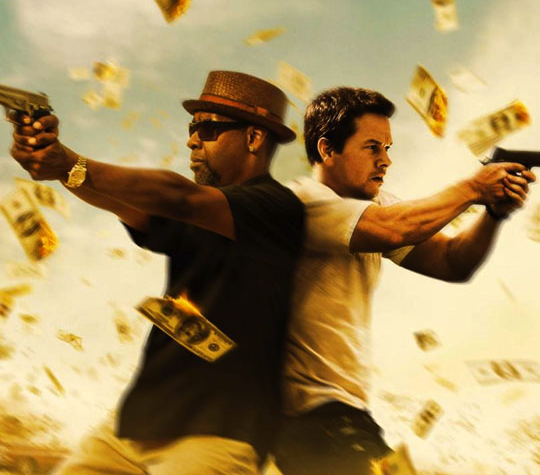 Check out the advertising art for the new movies “R.I.P.D.” and “2 Guns.” Glamorous Hollywood movie stars brandishing guns. The message is clear: Guns solve problems. I’m not against guns. I’m not against the Second Amendment. Furthermore, I’m not against showing gunplay and violence in the movies themselves. Presumably, parents and MPAA ratings preclude young people from actually seeing those movies. (Yeah, right.) So, I have to ask: Why must guns be used so prominently to attract potential audiences to watch what Hollywood cranks out? Even if a kid cannot or does not see any given movie where guns are used, misused or abused, the ads still send this message: Guns solve problems. Avoidable, yet inevitable. A teenage youth, led to believe that fighting someone who “disrespects” you is mandatory, encounters a grown man emboldened by his concealed weapon. Words and gestures of another sort might have defused everything. Instead, one ends up dead, the other ends up with a ruined life. It’s like the old saying, when two tigers fight, one dies, the other is maimed. There was no winner. And in the meantime, we’re still living in a place where a twisted form of machismo is the dominant form of acceptable masculine behavior among American males. No change there. Yes, race was a component in the slaying of Trayvon Martin by George Zimmerman. As for the verdict, the prosecution erred when it initially pushed for second-degree murder instead of manslaughter. (Something tells me that Zimmerman might have, in his heart, been OK with being convicted of manslaughter.) The news media also had a role in distorting and misreporting the facts of the case and overplaying its importance. The list could go on and on. I know that putting some of the blame on our culture creators and gatekeepers makes me appear to be some reactionary fuddy-duddy. I don’t think that stating the obvious make me that. But if someone thinks that, so be it. There was a time when cigarettes were touted for their health benefits, by doctors no less. The link between lung cancer, emphysema, heart disease and so on with cigarette smoking was laughed at. Slowly, however, things changed. The science came in. Advertising for tobacco products became regulated. Cigarette packages were required to carry a warning from the surgeon general that cigarettes were hazardous to one’s heath. Not a month goes by without some sort of mass shooting, not to mention everyday gun violence. Studies have shown there to be a link between violent behaviors and what young, impressionable minds hear and watch. When will our collective “aha moment” we had with cigarettes come with regard to our media diet of violence and its effects on society? At the end of the day, doesn’t the toxic stew of ubiquitous violence and skewed values in our culture get any credit for Martin and Zimmerman? Are we too inured to see it? In reflection after the verdict, who were Trayvon Martin and George Zimmerman? Look in the mirror. There’s a little of them in us all. 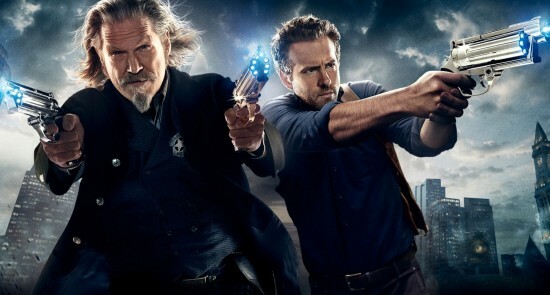 The message of ads for movies like “2 Guns” with Denzel Washington and Mark Wahlberg and “R.I.P.D.” with Jeff Bridges and Ryan Reynolds is clear: Guns solve problems.